I'm not even really a Tory Burch kind of girl. I think they're super cute, but it's pretty pricey to collect these babies. But these Ocean Mist Reva Ballet Flats are beautiful. I know this FREE BaubleBar necklace would go great with them! 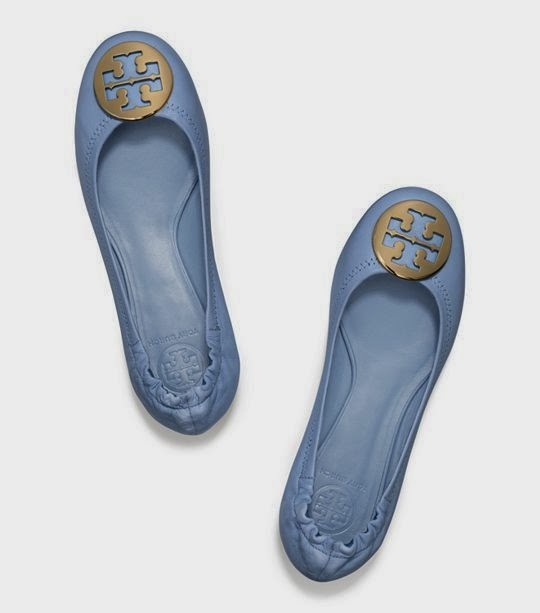 I love Tory Burch flats! The color of those reminds me of a Spring day; I love the holiday season but sometimes I miss the warm weather! I love Tory Burch, I just haven't found it in my heart of hearts as well as my budget to purchase her stuff yet but one day I'm sure I will. Love these flats. They're simple yet classy. Original flats but we don't like so much this color, it's very difficult to combine! Simple and classic with a POP of color! I like them! Those are gorgeous! 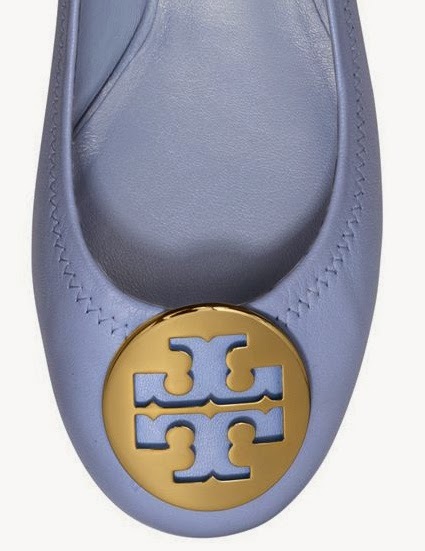 I want a pair of Tory Burch. These are unique and stand out. A lovely twist! I personally am not a fan of large logos but this shade of blue is stunning. I really love the color of those flats, such a pretty shade of blue thats not too overwhelming. I like the colour, very cute and nice!! Oh my they are cute! I love that color!!! Those shoes are a lovely color! A word of caution though I find the revas to be really uncomfortable. They run narrow and the metal logo puts a lot of pressure on my toes. Give them a try before asking for them for your birthday.